Get a roadmap to write your novel, learn the mistakes you're making when plotting, & find community. 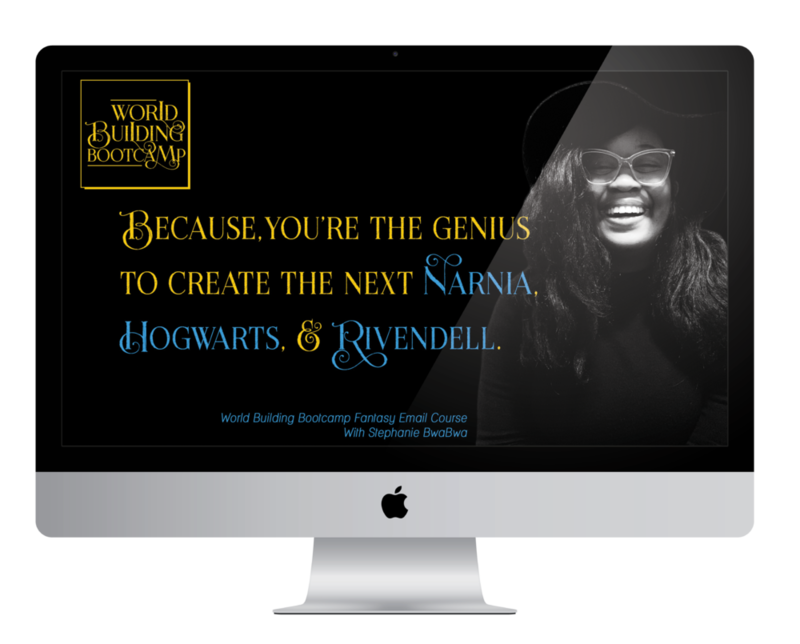 What if you could finally know exactly what to do to build your fantasy world, without the added stress and overwhelming frustration that can come attached? what if I told you, all you need is 16 days and you can have YOUR own fantasy world, 100% complete? No risks. No gimmicks. No BS. Where Storytelling gets to do the Cupid Shuffle! Sup fam! I'm Stephanie BwaBwa, a pretty simple gal who happens to be a YA fantasy author and has no shame drinking coffee and writing all day. I like helping fellow writers wade through the waters of crafting their stories (I mean let's face it, you have yet ANOTHER trilogy burning in the back of your brain), because, priorities.